It's been just over a week since my 27th birthday celebrations. I spent my birthday weekend away in a lodge with my husband. We spent the weekend in the hot tub, eating good food or shopping, what more could I ask for?! I've even milked the birthday celebrations a little bit longer by having afternoon tea with my besties on Saturday. 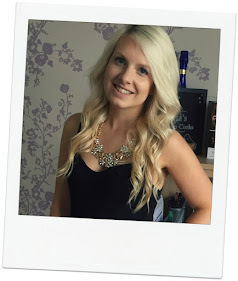 Following tradition I've got my What I Got For My Birthday blog post ready to share, similar to last year, and the year before. Again, I've been spoilt rotten by my husband, family and friends. Seeing it all in one picture is crazy and you can definitely see how well they all know me. There's a huge amount of pink and sparkles, beauty products and tasty goodies as well as Prosecco/Gin related gifts. I've picked out some of my bigger presents, absolute favourites and the ones I think lots of ladies would love to receive - birthday or Christmas. It's my first birthday as a Mrs and my husband took heed of my huge hints for a new Claireabella bag. I use my bag for work and I've been wanting to replace my Miss Sutherland bag since August but it just didn't feel right buying it for myself when all my others have been gifts. Clairebella bags are really good quality and I love all the little details. My biggest surprise was receiving the Glossy Box All I Want Advent Calendar from one of my best friends. I've seen this all over Instagram, Twitter, Facebook and Youtube and somehow managed to avoid seeing everything that's inside it so I'm very excited to open each little box. So far there's been a NARS lip glide and a Nip and Fab Serum. It's got some amazing brands inside and 17 full size products in total. With a birthday at the end of November I've been really lucky to receive beauty advent calendars a few times and I love it. It's hard to justify buying a beauty advent calendar for yourself. 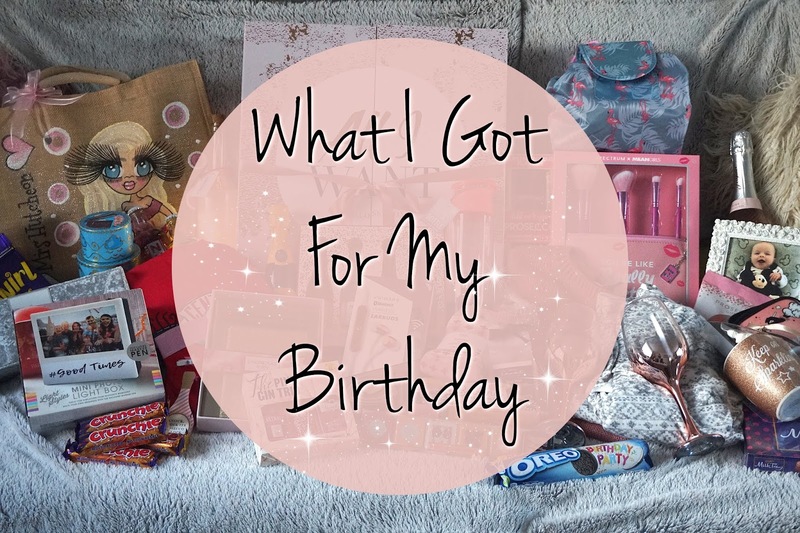 I received loads of Benefit products for my birthday this year and I'm so excited to try out some new products and replace some of my old favourites. The Benefit Boi-ing Erase Case gift set made it onto my Wishlist but I also got the Blush Brunch gift set and Goodie Goodie Gift Set, along with a freebie makeup bag and samples. I don't think I'll need to buy any new makeup for most of 2019! I featured the Mean Girls Spectrum set on my Boots Top Picks and I was delighted to get my own one! Mean Girls is my ultimate favourite film and I love that Mean Girls quote on the makeup bag and the bright pink handles of the brushes. This is such a good value set and a lovely addition to my makeup brushes. Some more of my favourite presents include some Bluetooth wireless earphones, thermal socks, a photo and frame of my niece and Hotel Chocolat chocolate. I've had my new iPhone X for a couple of months now and I'm still yet to have a set of earphones that work in the lightening port. Now I don't need to worry with some lovely little rose gold wireless ones. We're going to Krakow for New Year and these thermal socks are going to be an essential for the colder temperatures. They'll definitely keep my toes warm. My phone has loads of photos of my niece on it but even though she's just over 3 months old we still haven't got any printed so it's lovely to get a perfectly posed one of her in a frame. This will be pride of place in our living room for sure. What a treat it is to have some chocolate from Hotel Chocolat. I got the Pick Me Up gift and I think I'll be struggling to want to share the Salted Caramel Puddles, Rocky Road Slab and Chocolate Brownie Slab.